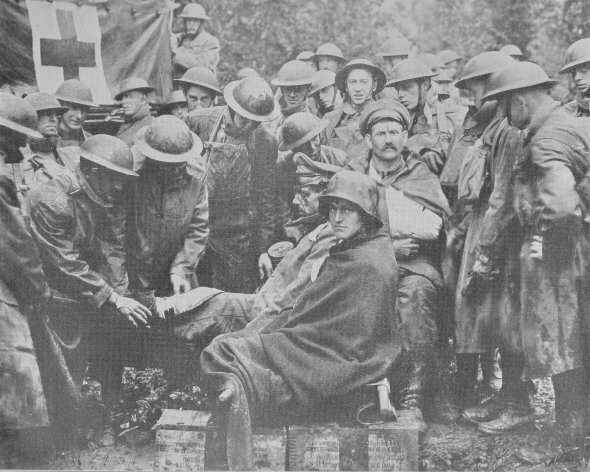 Wounded German prisoners receiving medical attention at first aid station of 103rd and 104th Amb. Cos., 26th Div. Friend and foe got the same treatment if the bandages held out. Scene was originally a German second line trench which fell to the Americans, Sept. 12, 1918.